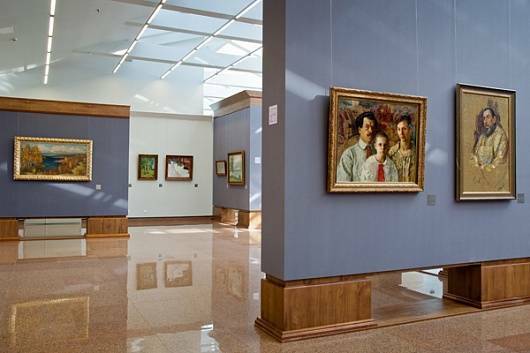 Opened in 2011 in Moscow’s historical area of ZamoskvorechyeRussian: Замоскворечье, the Institute of Russian Realist ArtRussian: Institut russkogo realisticheskogo iskusstva or Институт русского реалистического искусства (IRRA) is a private museum reviving the tradition of art patronage in Russia. 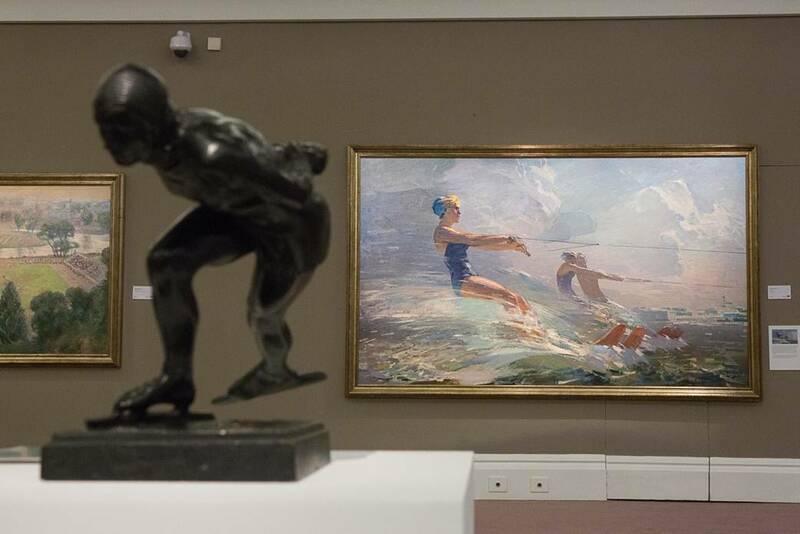 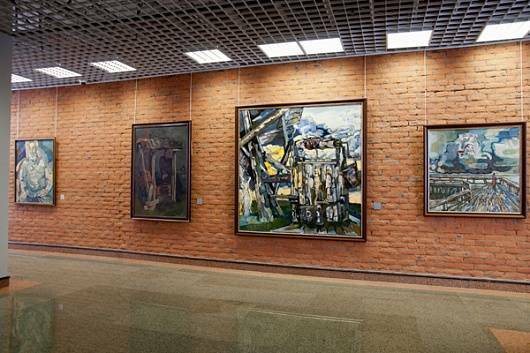 It boasts one of the largest collections of 20th-century Russian realist art and displays almost 500 Russian and Soviet visual artworks spread across three floors, occupying a total area of over 4,500 square metres. 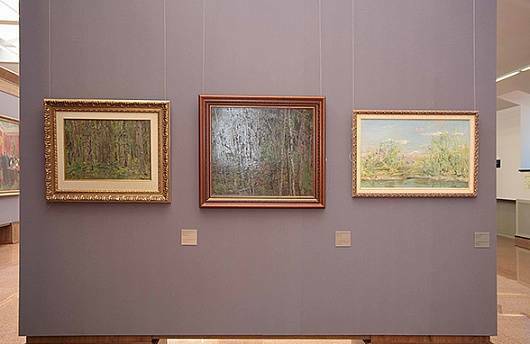 One of the collection’s earliest exhibits is an etude created by Vasily Polenova Russian landscape painter associated with the Peredvizhniki movement of realist artists in the late 19th century. 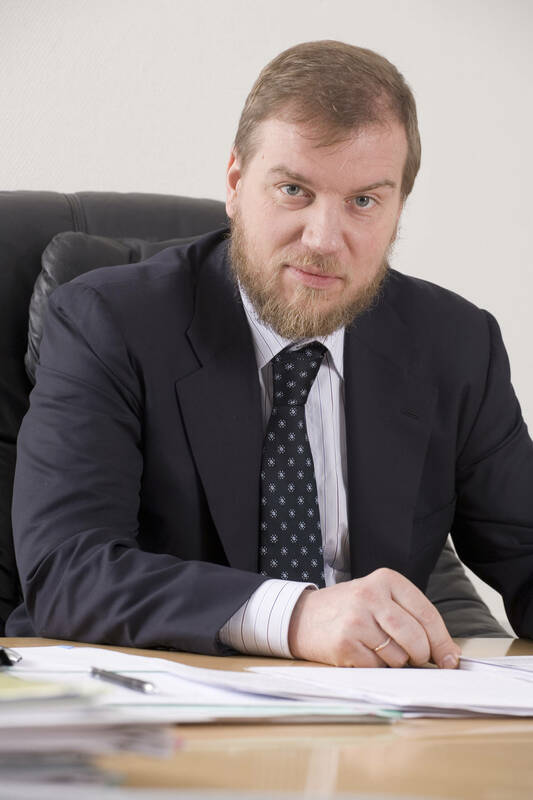 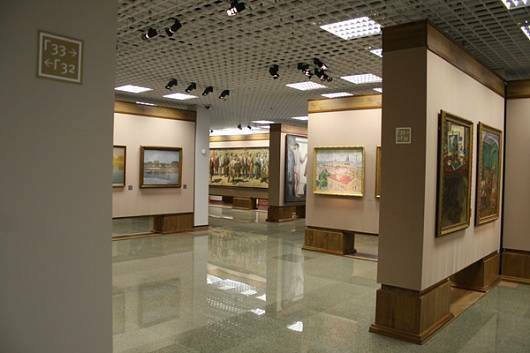 The IRRA museum was founded by businessman Alexei Ananyev. 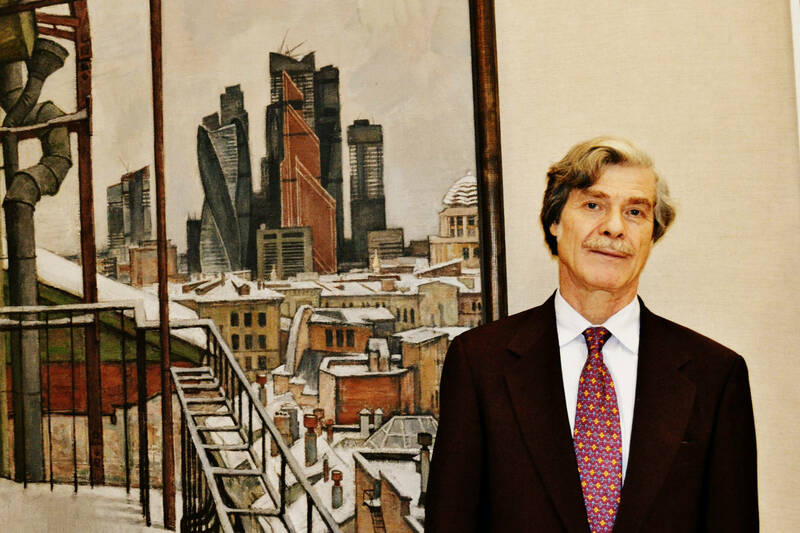 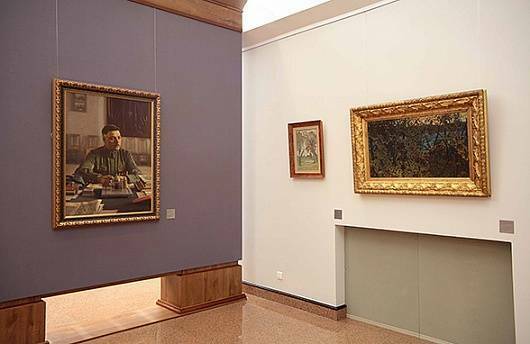 It all started with his private art collection, which had grown so much in 10 years that he decided to open a public museum. 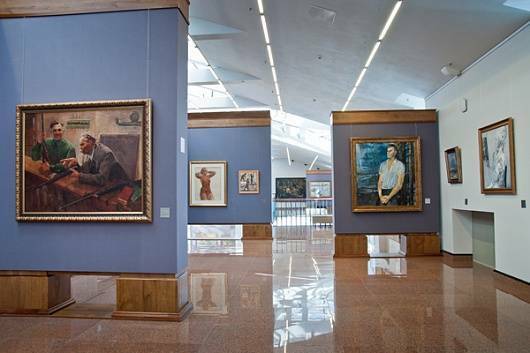 The museum mainly aims to show that the realist tradition based on classical painting continues to exist in 20th-century Russian art. 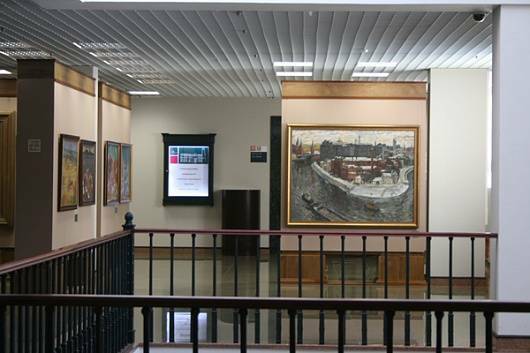 It’s a good idea to start your visit on the third floor, which displays the paintings of the first half of the 20th century. 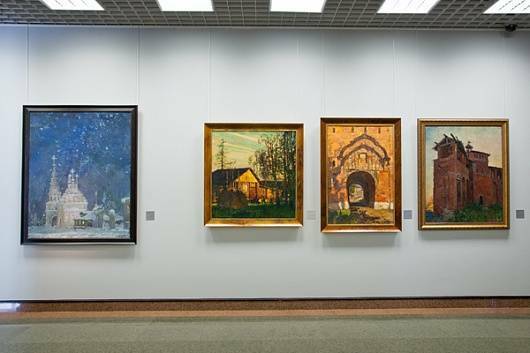 Visitors can track the trends that developed in Russian painting in those challenging times, including Peredvizhnichestvoa movement in Russian realistic art, Symbolism and Impressionism. 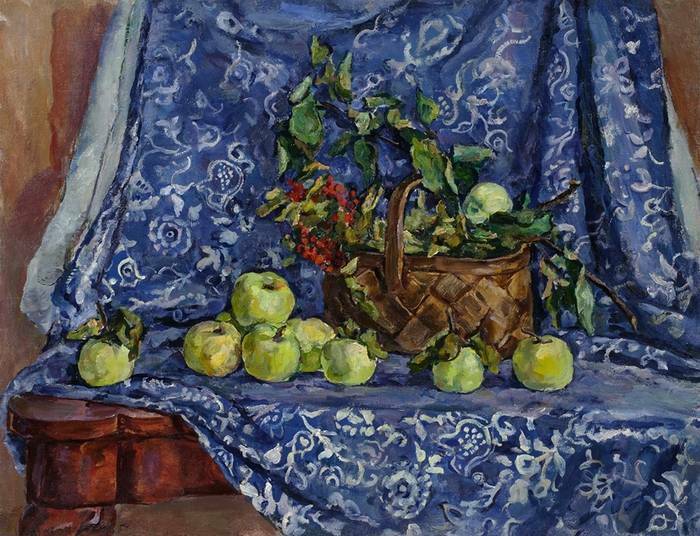 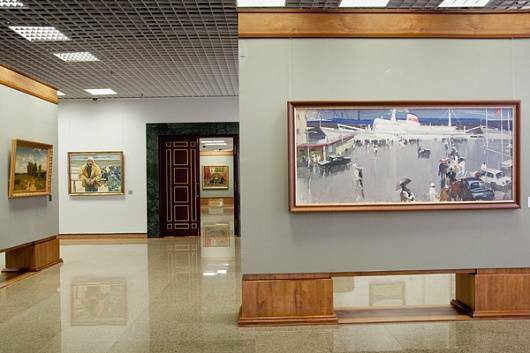 Works by A. Plastov, S. Gerasimov, A. Deyneki, Y. Pimenov and G. Nissky, among others, are on display here. 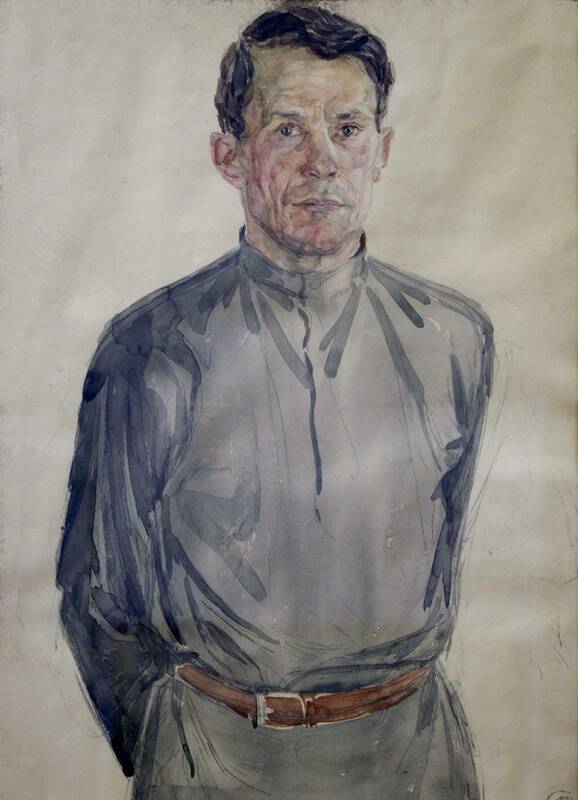 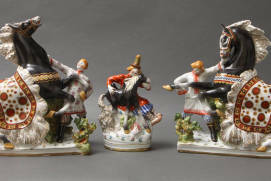 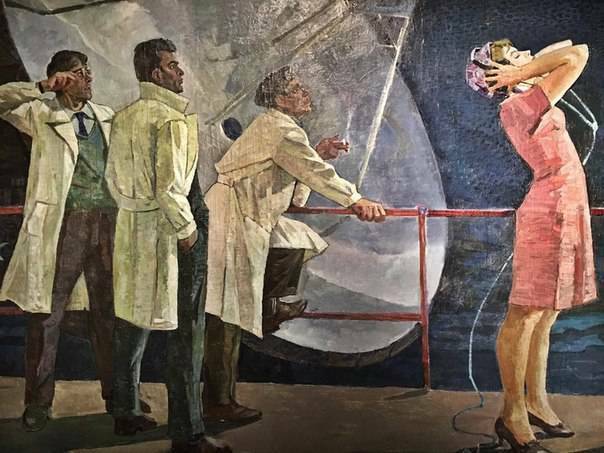 A new artistic style – Social Realisma style of realistic art that was developed in the Soviet Union – came into fashion after the establishment of Soviet power. 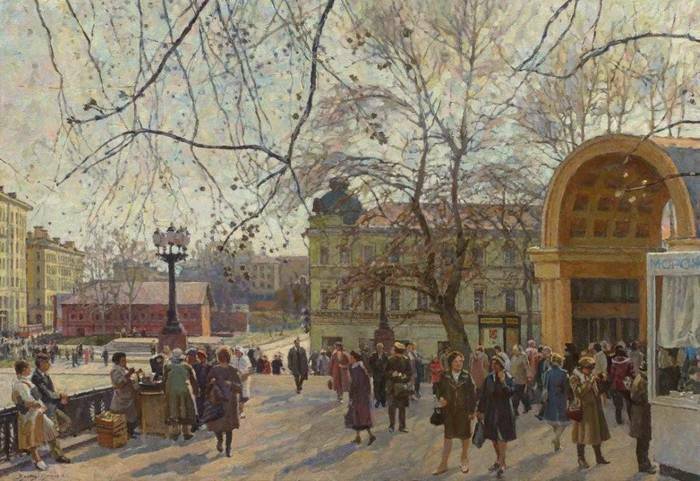 Paintings by Isaak Brodsky, Gavriil Gorelov and other artists often show political leaders bringing joy and exultation to the people. 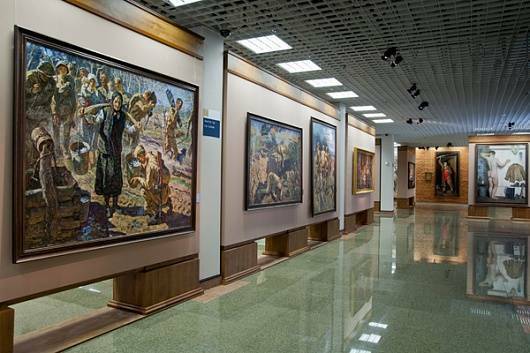 Another hall is dedicated to the OSTRussian: ОСТ art group (‘The Stankovist Artists SocietyRussian: Obschestvo khudozhnikov-stankovistov or Общество художников-станковистов’), featuring paintings by I. Grabar, who was not only a painter, but also a restorer, art expert and author of the first edition of the History of Russian Art. 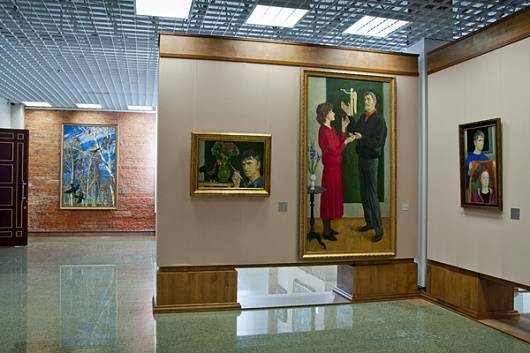 The second floor presents Soviet paintings of the second half of the 20th century. 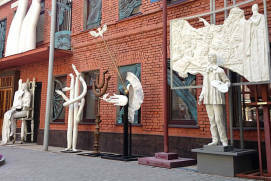 The difficult postwar period, Stalin’s death and other upheavals replaced the people’s blind faith in a better future. 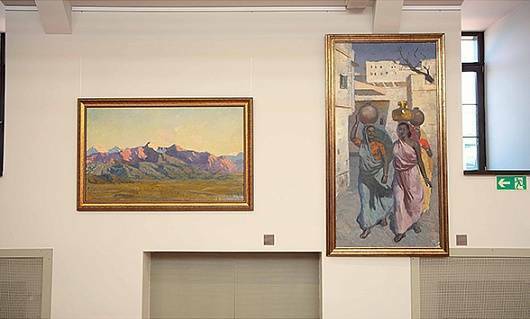 Critical views of what was happening and mixed attitudes toward the present came to the fore in art at that time. 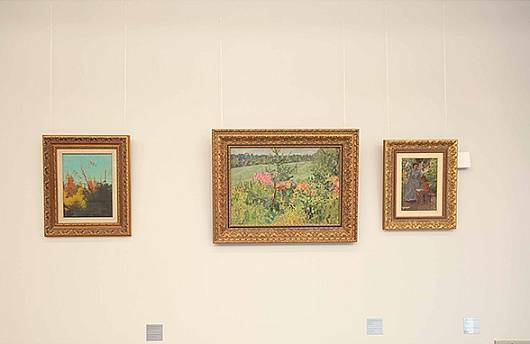 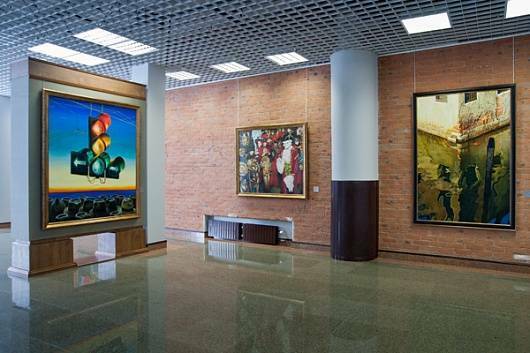 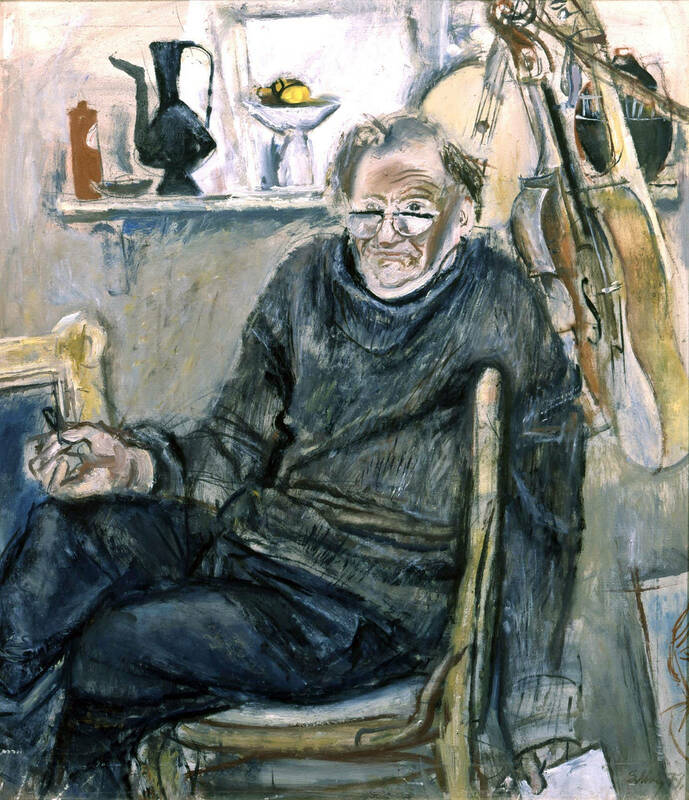 Both older and more recent works by many painters who gained fame at that time (Dmitry Zhilinsky, Geli Korzhev, Viktor Popkov and Takhir Salakhov) are on display here. 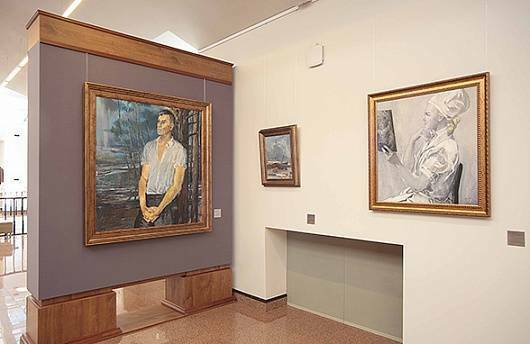 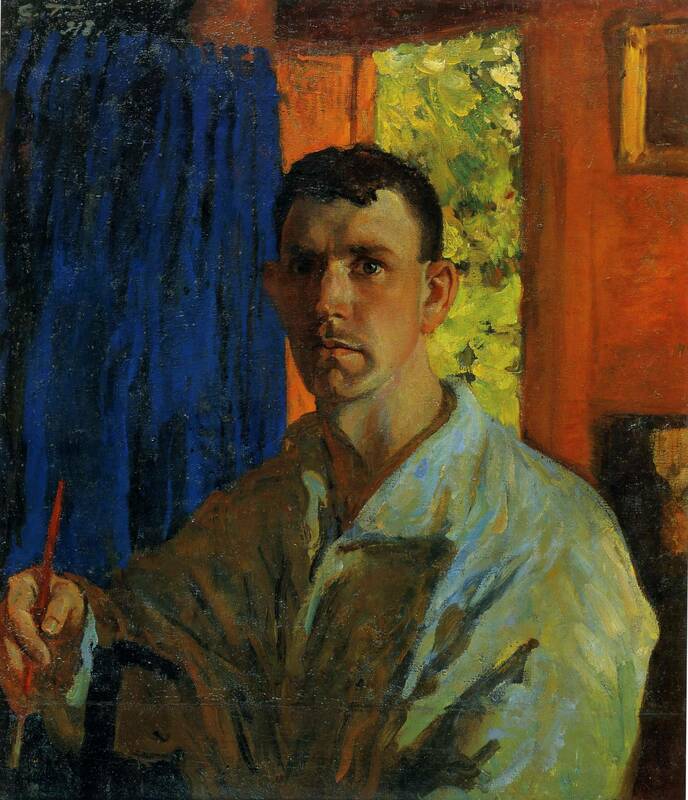 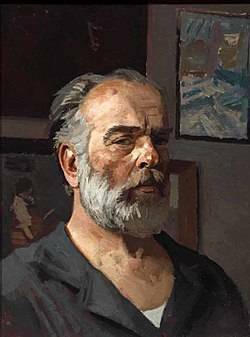 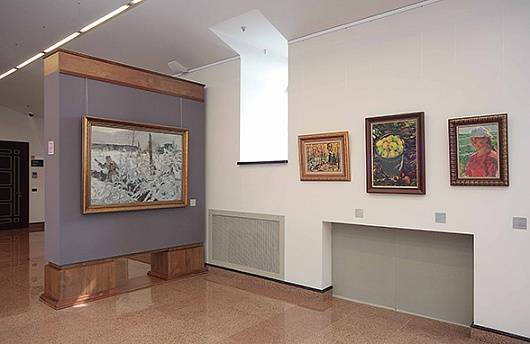 The first floor is devoted to works by present-day painters, with a focus on those by Moscow artists V. Kalinin, A. Sukhovetsky and V. Telin and by Leningradthe former name of Saint Petersburg artists A. Mylnikov, E. Moiseyenko, B. Ugarov and V. Zagonek. 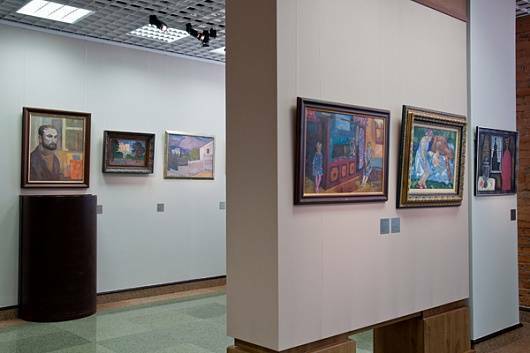 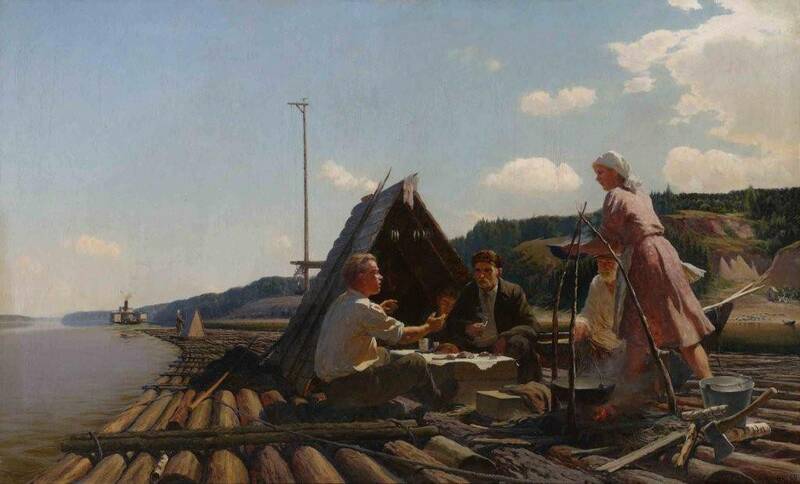 Artists belonging to the Vladimira city located on the Klyazma River, 200 kilometers to the east of Moscow school of painting are grouped separately and are particularly expressive in terms of their artistic language. 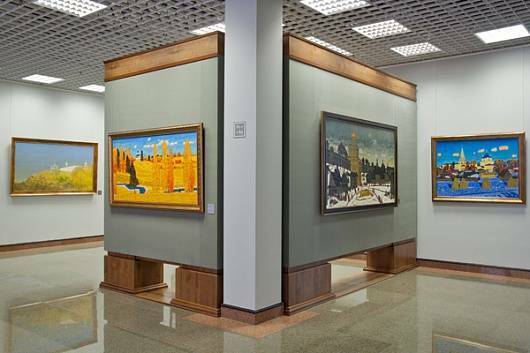 Art genres, such as photorealism and hyperrealism, and various artistic styles from across Russia and Belarus are on display, too. 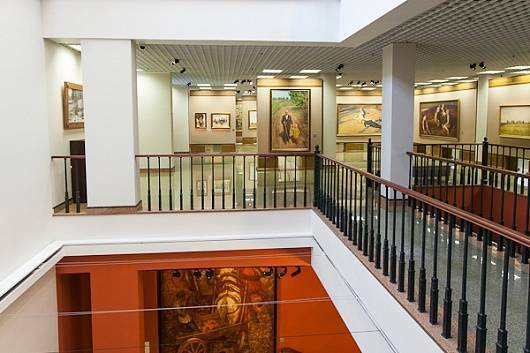 Not only the Institute’s collection, but also the space within which it is housed will be of interest to visitors, with regular special exhibitions, themed discussions, workshops and activities for adults and kids alike. 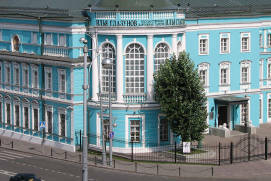 The museum itself was constructed in the second half of the 19th century to accommodate a cotton-printing mill. 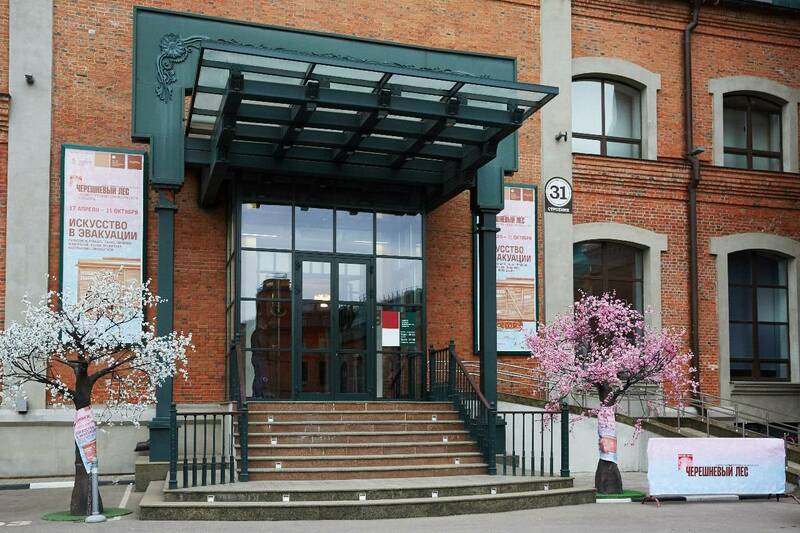 In 2005, 14 annexes underwent complete restoration to house a business quarter. 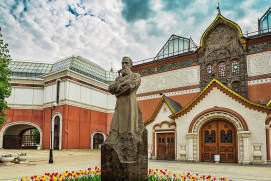 The Institute of Russian Realist Art occupied the building, which featured an impressive chimney and an ornately shaped cast-iron staircase (former boiler station) in 2011. 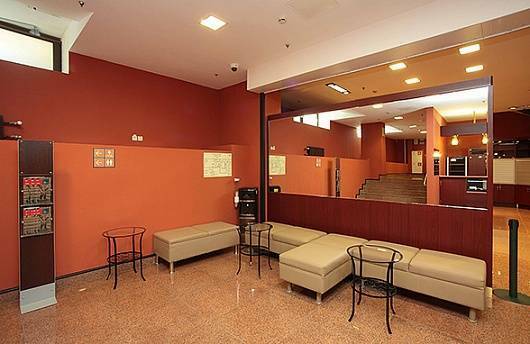 Its inner premises are equipped with parking and a garden area with a fountain. 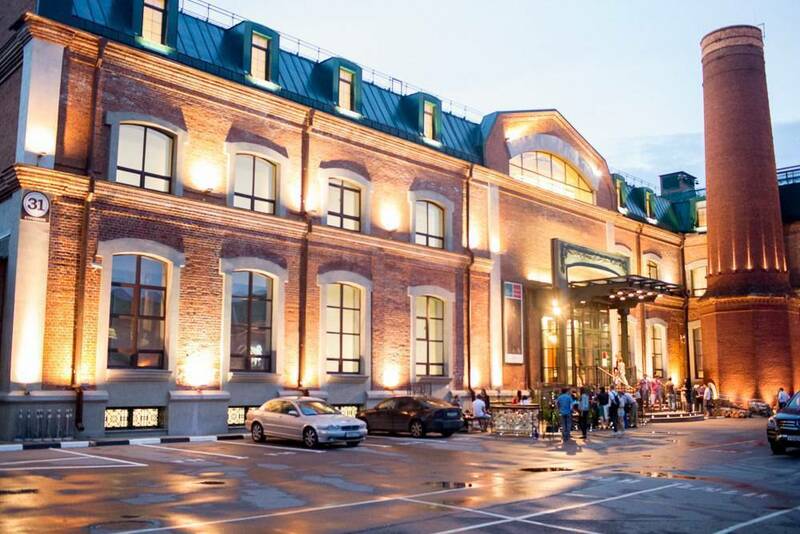 A stone’s throw from the museum are some of Moscow’s landmarks, including the Bakhrushin Moscow Theatre Museum, Novospassky MonasteryRussian: Novospasskiy muzhskoy monastyr or Новоспасский мужской монастырь (15th c.), Sergei Yesenin Moscow State MuseumRussian: Moskovskiy gosudarstvennyi muzey S.A. Esenina or Московский государственный музей С.А. 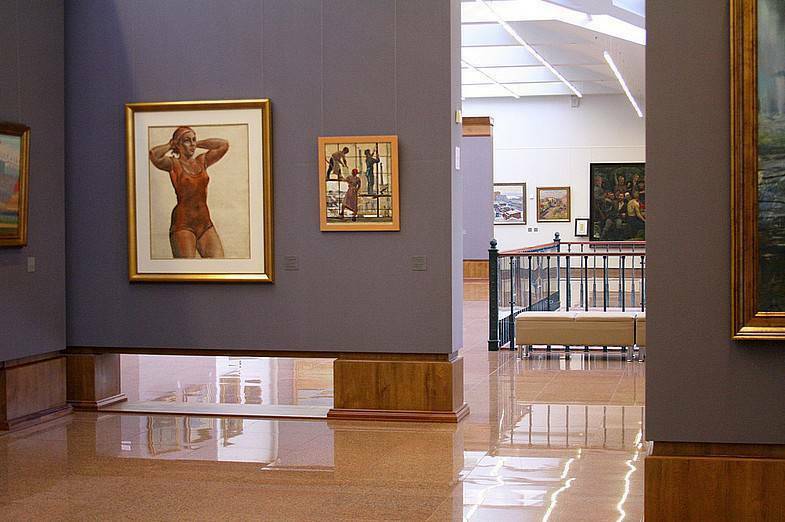 Есенина, Museum of V. A. Tropinin and Moscow Artist of the TimeRussian: muzey V.A. 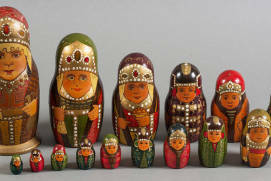 Tropinina i moskovskikh khudozhnikov ego vremeni or музей В.А. 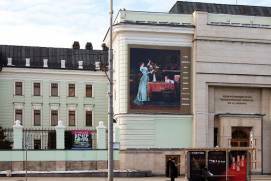 Тропинина и московских художников его времени and Vysotsky’s House on Taganka StreetRussian: dom Vysotskogo na Taganke or дом Высоцкого на Таганке. 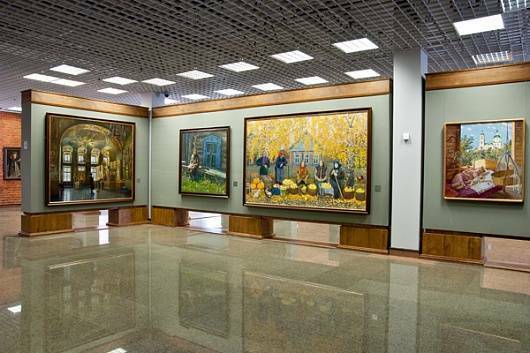 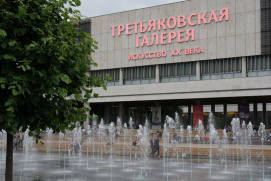 If you are fond of walking, you will get to the Tretyakov Art GalleryRussian: Tretiakovskaya galereya or Третьяковская галерея in no time, and you are most welcome to join a boat tour around central Moscow from the Novospassky Most QuayRussian: prichal «Novospasskiy most» or причал «Новоспасский мост». 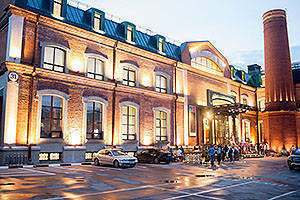 From 50 to 150 rubles depending on visitor's category and programme of visits. 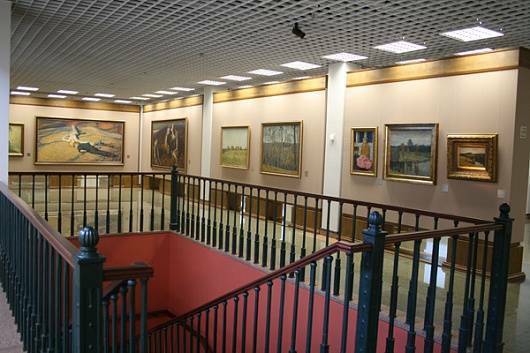 First Tuesday and last Saturday of each month visits are free of charge. 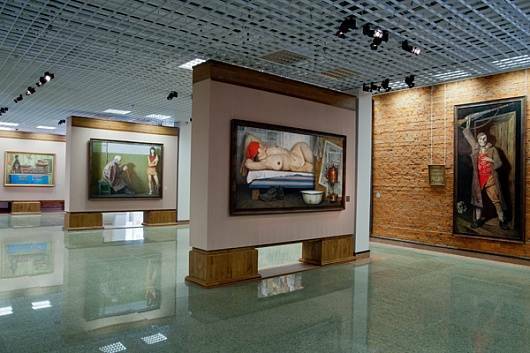 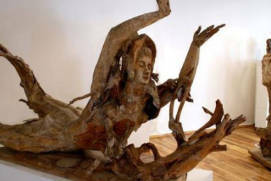 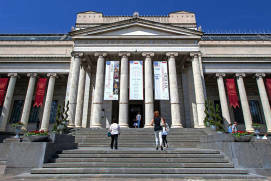 The museum organizes master classes. 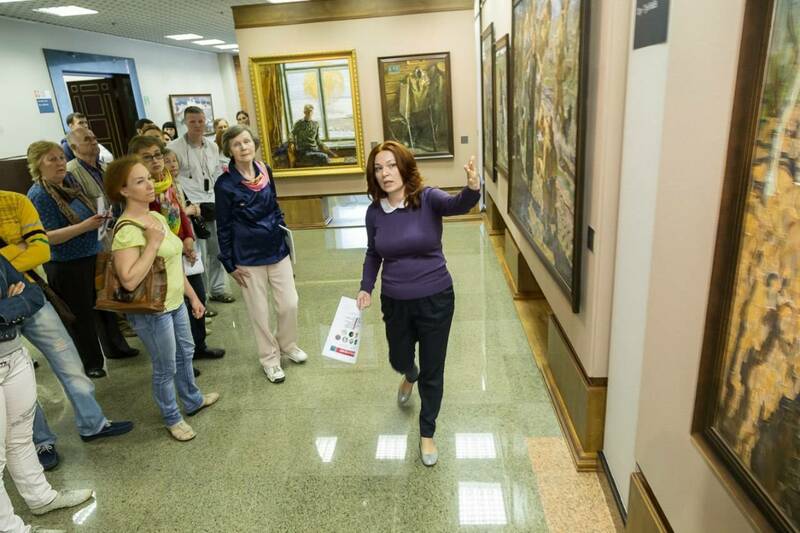 There are guided tours in Russian and in English. 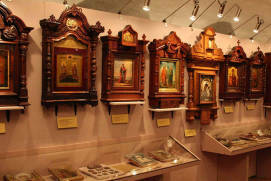 What an excellent collection, a great museum! 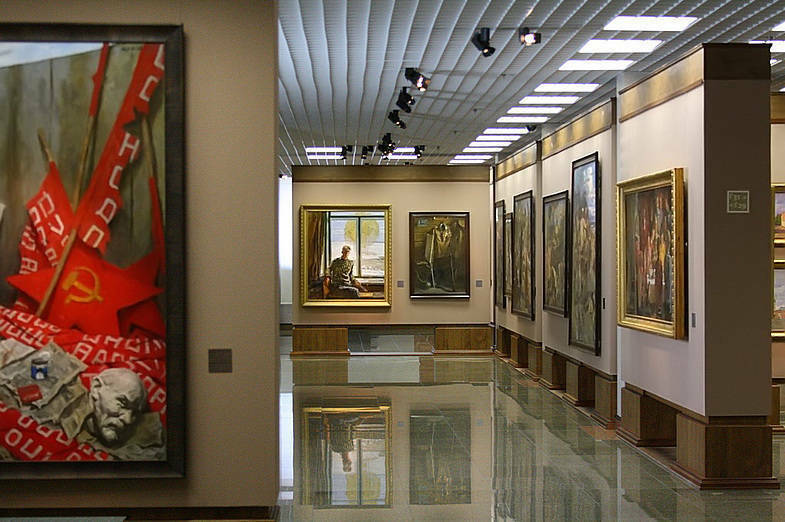 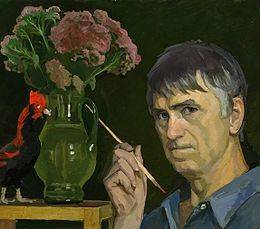 Works of the best Soviet painters are carefully selected. 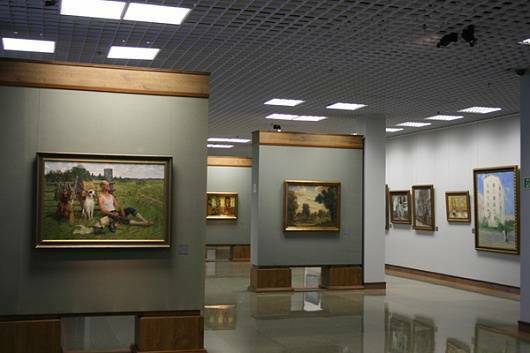 The equipment of the museum is unique, ranging from the stylish restored building of the former factory to the layout, the interior design and the lighting of the exposition with all the latest technologies. 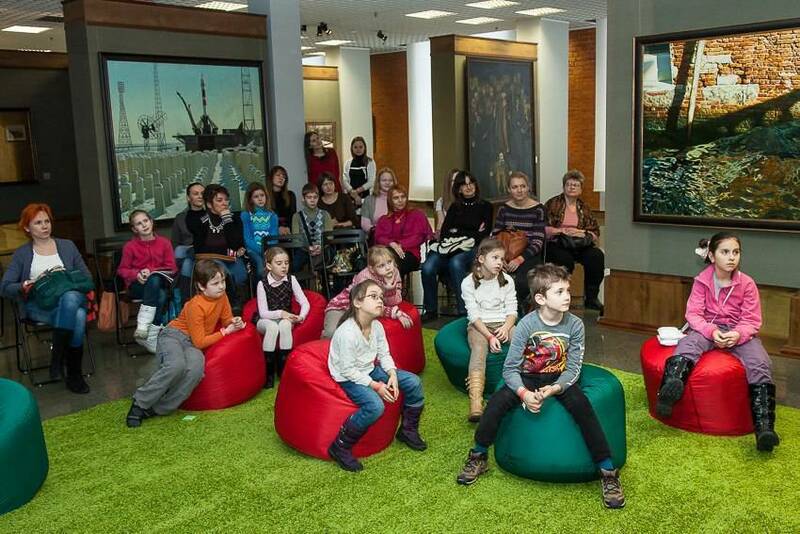 The museum takes care of visitors and organizes tours for the youngest, for adolescents and adults. 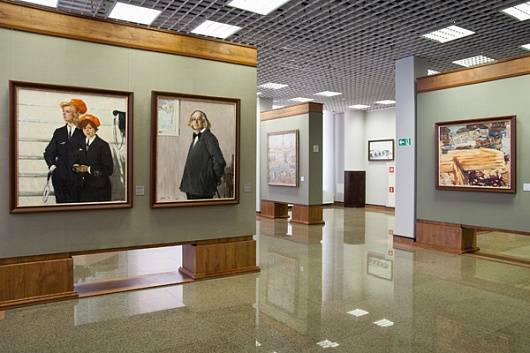 At first, when I got into the Institute of Russian Realistic Art I estimated the architectural treatment. 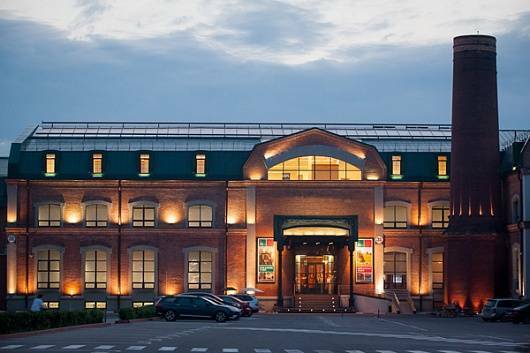 Large brick pipe, forged stairs, brick. 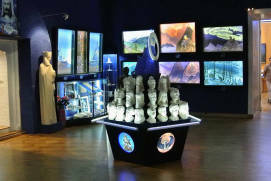 At the entrance, I was pleased with a gift shop, I bought a mug and some postcards in it. 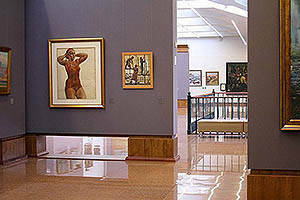 Then I got acquainted with the exposition itself. On several floors there are works of artists mainly in a realist style. 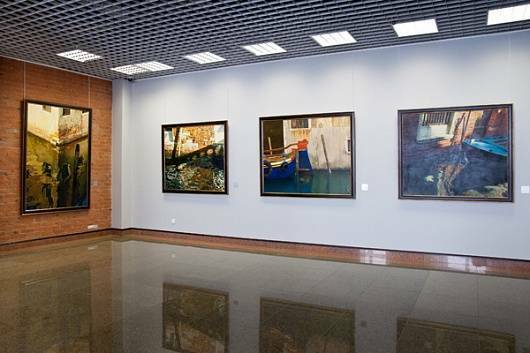 Not all the pictures made a deep impression, but many of them. 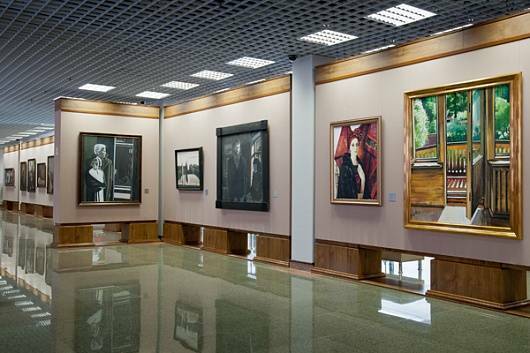 In the halls, there aren't any custodian with austere look. 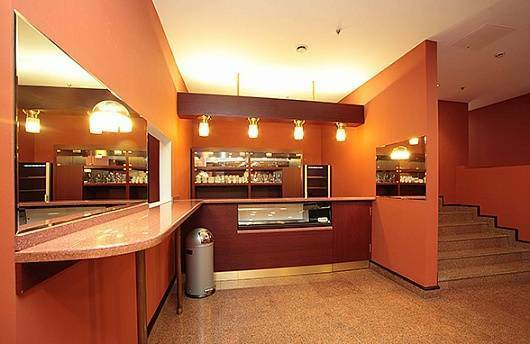 It's a checkroom (very convenient) next to the cloakroom. 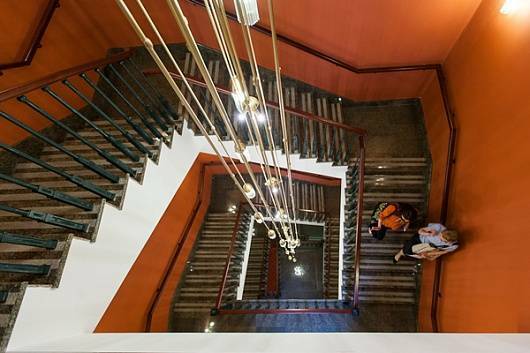 A spacious elevator moves between floors those who don't want to climb the elegant metal staircase. 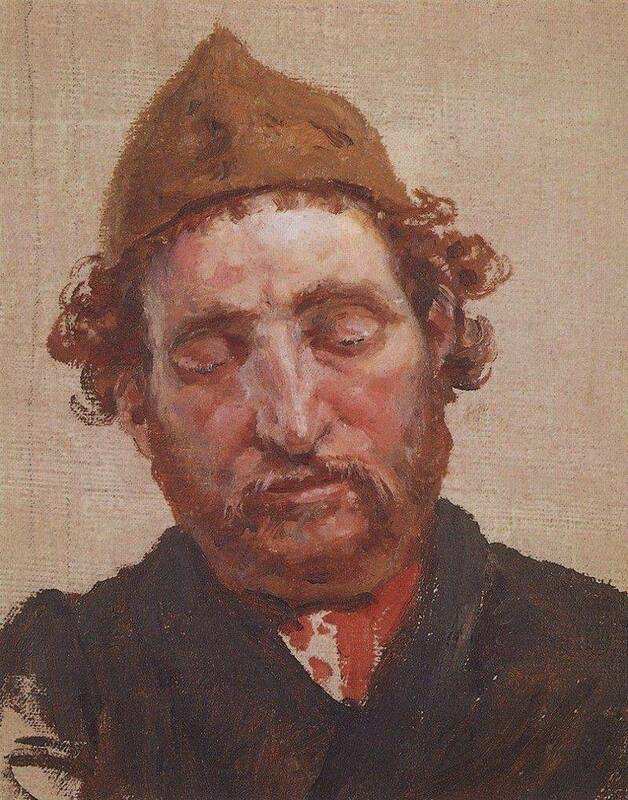 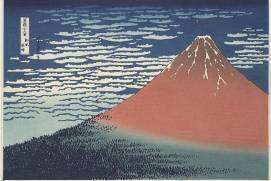 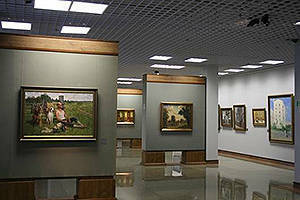 On the museum's website, there is information about the paintings and artists. 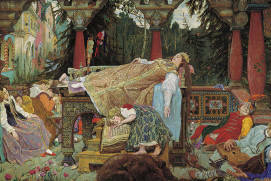 It makes no sense to retell. 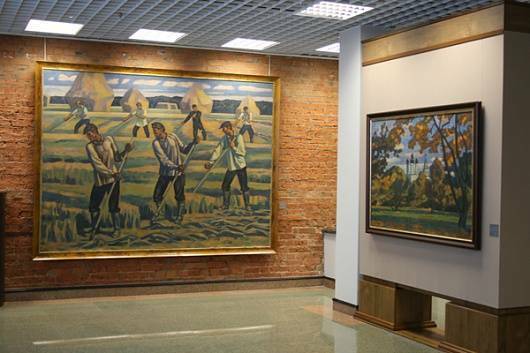 In the halls, there are very interesting works that make you delay, think and see some details. 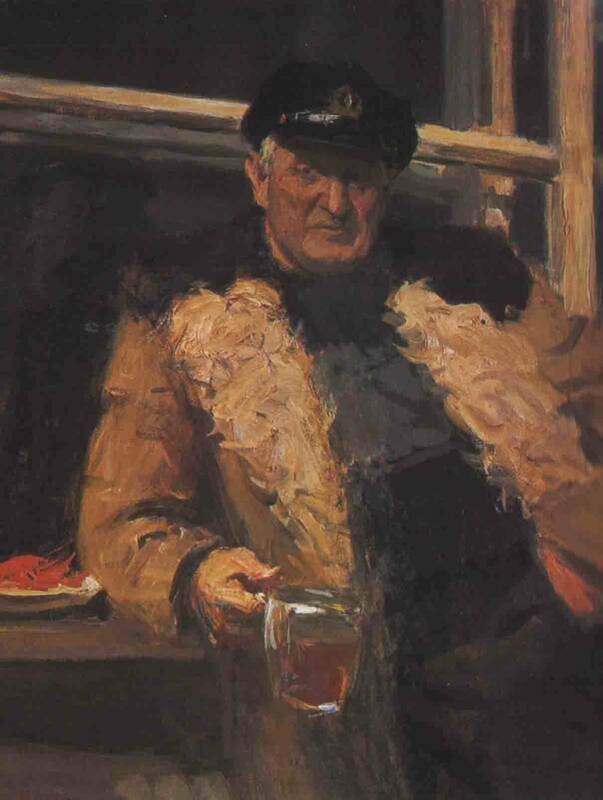 Other pictures leave cold. 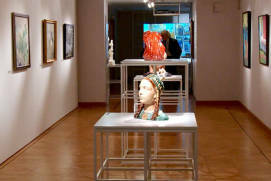 In general, the gallery leaves a very good impression. 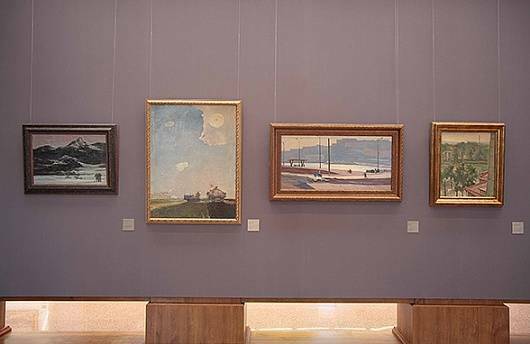 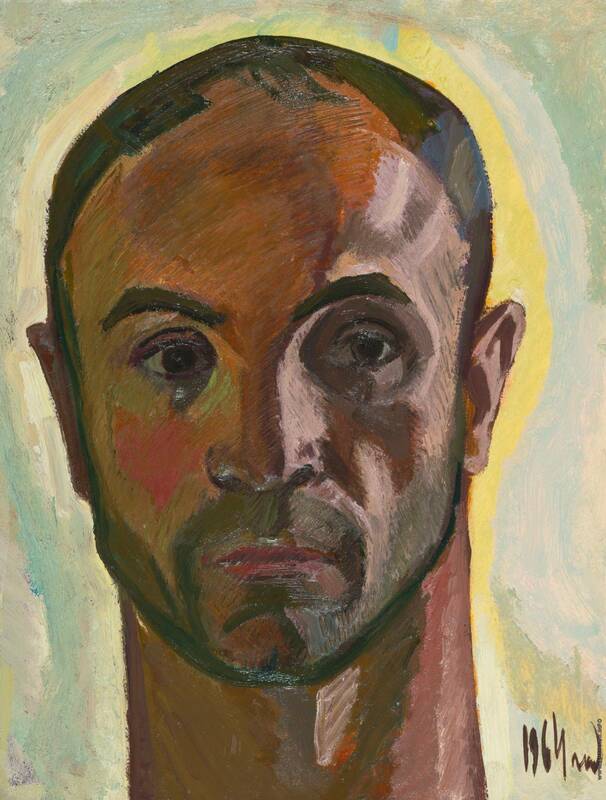 The collection of paintings differs and completes what we've seen in other museums.